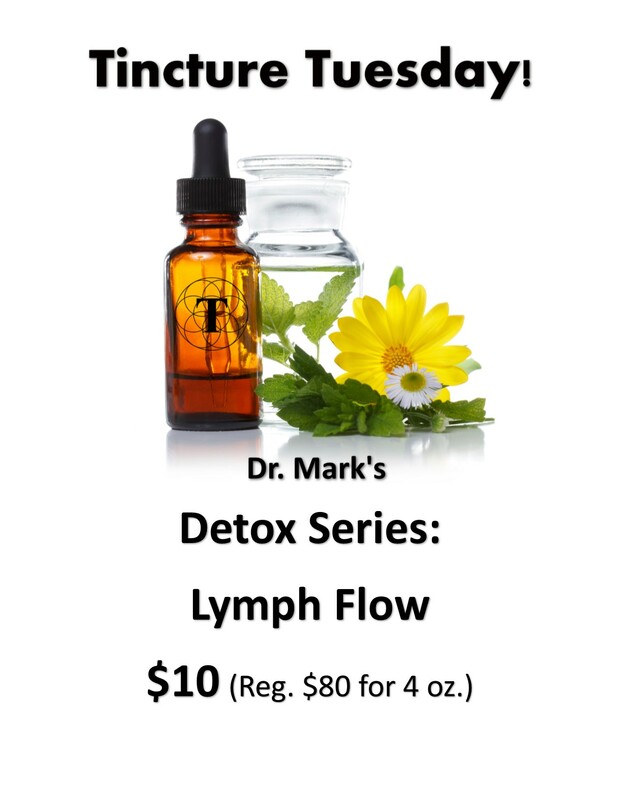 Every Tuesday, Dr. Mark Carney formulates a special tincture at a reduced rate for our Thriveology Community! Your lymphatic system plays a major role in your overall health and immunity, but most people don’t know what it really does! The lymphatic system is part of the immune system and carries a fluid called lymph toward the heart. There is six times more lymph in the body than blood! Essentially, it’s your body’s waste disposal system, where your body rids it’s tissues of toxins by passing them back into the bloodstream to be cleansed by the liver and kidneys. When this system becomes stagnant, lymph becomes concentrated with waste and toxins. This can cause you to feel fatigued and sluggish. When poor lymph circulation becomes an issue, problems can range from swollen glands, tonsillitis, to even cancer. This formula works by improving the flow of the lymphatic fluid and cleansing it of any backed-up toxins. Keeping this system healthy is crucial for detoxification as well as overall health and immunity. – Dr. Mark Carney, N.D., L.Ac. Echinacea angustifolia (Echinacea) – The name Echinacea comes from the Greek word echinos which means “sea urchin” and refers to the plant’s prickly seed head. This plant has been used for over 400 years by Native Nation people as a general “cure-all” and has antiseptic properties that aid the lymphatic system by destroying pathogenic or putrefactive bacteria. Echinacea improves the lymph glands and relieves lymph swelling. Galium aparine (Cleavers) – Cleavers is an herb that has been used for centuries to help drain out the lymphatic system. Cleavers packs a one-two punch, stimulating the lymphatic system’s activity and then cleansing and nourishing the blood. Cleavers is an excellent treatment for inflammatory conditions that are related to chronic toxicity. It is an effective remedy for acute inflammation of the lymph nodes. Cleavers also aids the kidneys to remove more toxins. Phytolacca americana (Pokeweed) – Pokeweed is a North American native plant and has a long history of use as a treatment for gland-based ailments like lymphatic and glandular stasis. Pokeweed works by stimulating the lymphatic system and enhancing immune function. Pokeweed is an effective treatment for swollen lymph nodes, mumps, tonsillitis, and goiter. Astragalus membranaceus (Astragalus) – Astragalus benefits the lymphatic system in a combination of ways; it helps to cleanse and heal the lymph, while also easing congestion and swelling in the lymph nodes. Astragalus increases the number of stem cells in lymph tissue and helps trigger immune cells to a state of heightened activity. Baptisia tinctoria (Wild Indigo Root) – Wild Indigo Root is a perennial member of the pea family and is common throughout the northeastern United States. Wild Indigo Root cleanses the lymphatic system and aids in ridding the body of damaging microbes and waste. It also improves the flow of lymph and reduces glandular swelling. What You Can Expect: This tincture can increase energy, improve immune function, and shrink swollen glands. All Thriveology tinctures are masterfully crafted with the finest-sourced herbs, strictly of superior quality. To purchase this, or other tinctures, please call our Denver, Colorado office at (303)636-0000.